In 1952 Frank Sinatra released eight singles. None topped the charts at higher than number 19. Four failed to chart altogether. Columbia’s A&R executive Mitch Miller claimed he "couldn't give away" the singer's records. By this point, he and Sinatra had a very public feud. People like Jo Stafford disagreed that it was Sinatra’s fault. 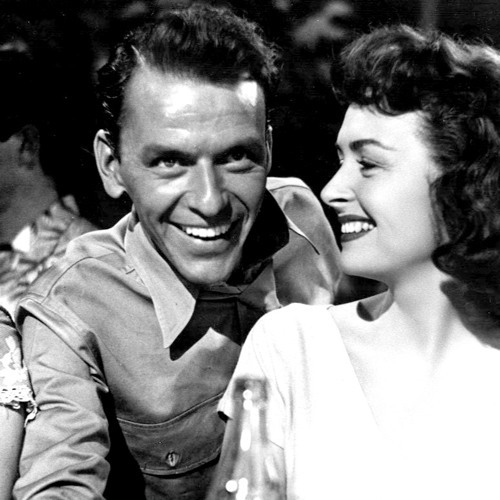 Sinatra spent a large portion of 1952 as one-half of a toxic marriage with Ava Gardner. Both were devoted, but neither was faithful. Both loved and hated each other at the same time. They would spend days at each other’s throats, or as far away from each other as possible, only to passionately reunite and begin the cycle once again. Various substances were involved. Sinatra was drinking heavily. In November Ava Gardner had an abortion. That summer Columbia Records announced they wouldn’t renew Sinatra’s contract. He hadn’t come close to making back the money they loaned him to pay off his taxes. His last studio recording for Columbia, "Why Try To Change Me Now", was recorded in New York on September 17, 1952, with orchestra arranged and conducted by Percy Faith. Near the end of 1952, it seemed Sinatra was finished. He had been dropped by MGM, Columbia, and MCA. He was on his own.